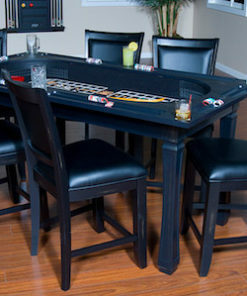 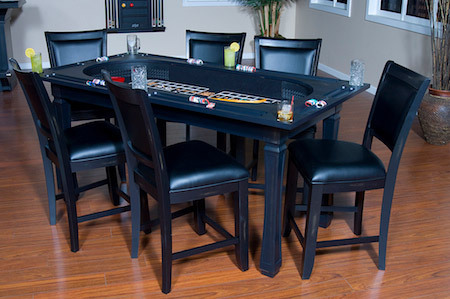 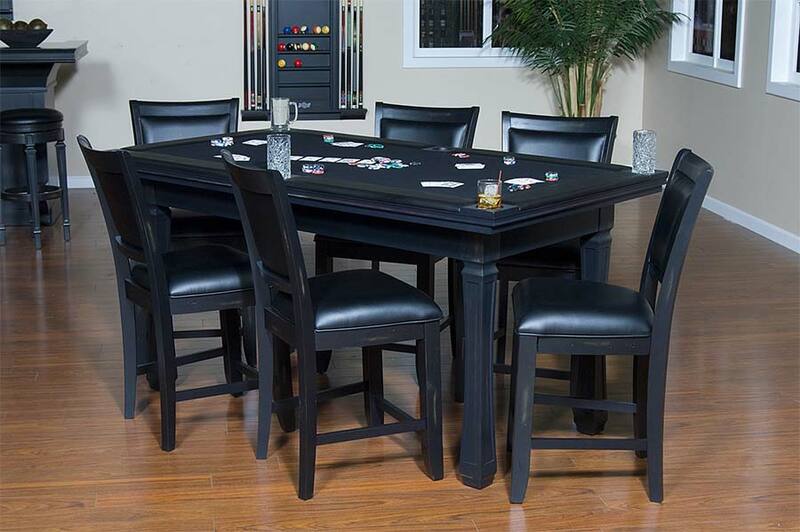 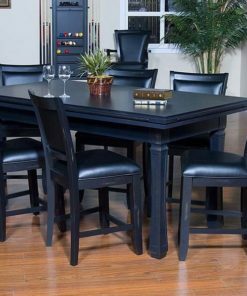 37″ high, 75″ x 40″ Burlington Hi-Top 3-in-1 Craps table with flip-top dining and game-playing surface that sits atop a concealed craps table. 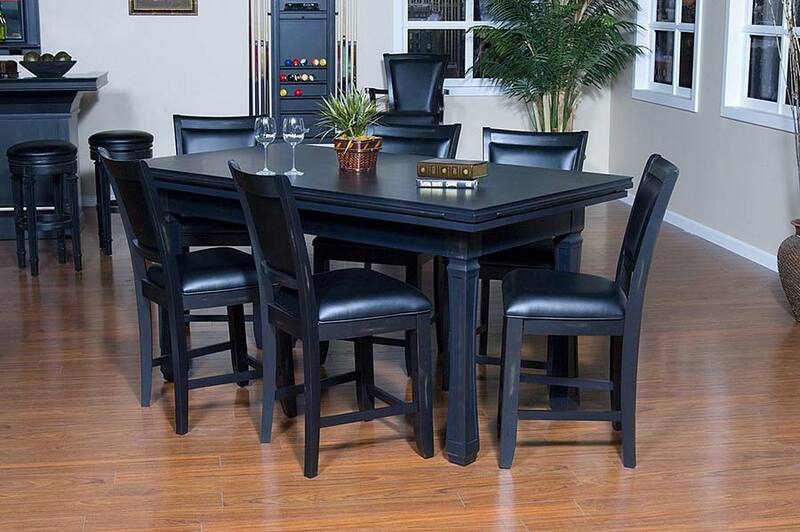 Comes with six coordinating high-back Westwood Chairs with Black Leatherette seating. 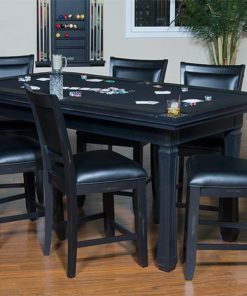 37″ high, 75″ x 40″ Burlington Hi-Top 3-in-1 Craps table with flip-top dining and game-playing surface that sits atop a concealed craps table. 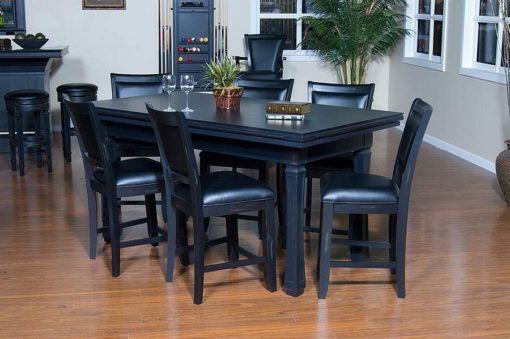 Comes with six coordinating high-back Westwood Chairs with Black Leatherette seating.